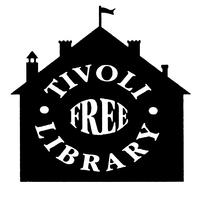 Tivoli Teen Clubs – A compilation of teen works from clubs at the Tivoli library. A couple of the kids have decided to show you some of the negative aspects of playing this new craze in a collection of humorous skits! The video can be accessed through this link (which links to YouTube). Enjoy! Leave a comment Pokemon Go…What’s so bad about it? Welcome everyone! This is a shared blog for teenagers in different programs at the Tivoli Free Library to share their thoughts, creativity, and criticisms for anything related to their programs. Any of these posts could be related to books, short stories, videos, or illustrations. We hope you enjoy the creativity of these teens as they … More Welcome!